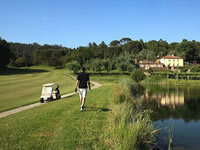 Oporto to the north, offers a further six courses for visitors' enjoyment. 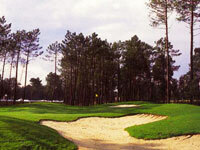 One of these, Oporto Golf Course, is the second oldest course in Europe. 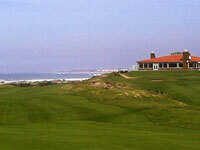 Dating to 1890, it is a links course located beside the Espinho beach. 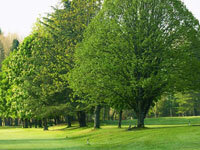 A hallowed tradition at the course is its claim to fame as host to the Skeffington Cup, played since 1891 without ever having been postponed or cancelled. 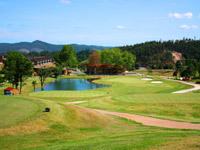 The 120th anniversary of the start of golf in Portugal is being commemorated simultaneously with the founding of Oporto Golf Club, with a new emblem having been created to mark the occasion in 2010. One of the main aims of the Federação Portuguesa de Golfe was to have an image that would integrate the various characteristic elements of the sport – sky, sea, lakes, sand and a flag – whilst giving it a contemporaneous and rhythmic feel to its identity. In this year of celebrations, GolfAlgarve recounts the history of the very first golf course in Portugal, the Oporto Golf Club, established in 1890. Many of the British expatriate community in the area were avid golfers and whiled away much of their spare time on the links at Espinho, a small village south of Oporto, ravaged by the fierce Atlantic breakers that often pounded the fishermen’s huts. Even the railway line had been diverted northwards and was threatened again at the close of the 19th century. 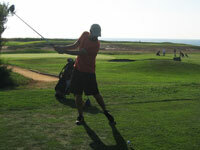 Although golf had been played for several years informally and without an official club, the historical date that marks the sport is February, 1890, when Skeffington founded the Oporto Niblicks Club, the first golf society with a golf course in Portugal. 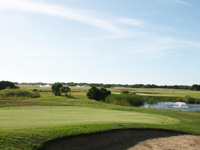 Located near the Espinho bullring in the parish of Silvalde, the 9-hole course was called the St. Skeffs Golf Links in honour of its founder. All Oporto golf courses benefit from the natural landscape that surrounds them, making the golfing experience more enjoyable for the sight. 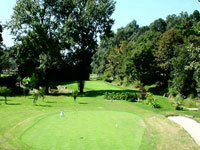 You can play in Oporto region for low green fees rates because it is not a very advertised golf destination. 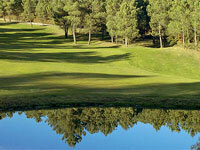 Here you can find the lowest green fees rates and the easiest and safest way to make your golf booking for your Oporto golf break.